CLUTCH PEDAL for sale, part number: 1K2721059. Removed from 2004 Audi A3 Sport 8P 3DR 2.0 TDI 173k miles, 3 Door hatch. Q3 (2011-2017). THEY ARE FOR RHD RHD. AUDI A3 8 P (2003-2012). AND MORE MODELS OF THE GROUP VOLKSWAGEN (VOLKSWAGEN, SEAT, AUDI AND SKODA). ONLY VALID FOR VEHICLES WITH THE STEERING WHEEL ON THE RIGHT. WILL FIT OTHER MODELS IN VW AUDI GROUP. The New and Used Audi Parts Specialist for all Audi models worldwide. 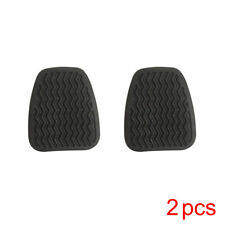 Audi Part Number: 1J2 721 332 A. It may fit others. Audi TT 1999 - 2005. Audi A3 1997 - 2003. AUDI A3 (2013 - 2016). 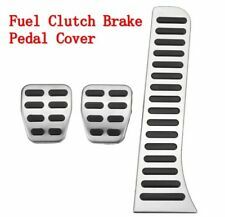 FOR SALE IS NEW GENUINE AUDI A3 2013-2016 STAINLESS STEEL PEDAL COVERS SET MANUAL LHD TO FIT - PART FITS ONLY MANUAL AND LEFT HAND DRIVE (LHD) MODELS. Q2 2017 onwards. Contents: 1x accelerator cap, 1x brake pedal cap, 1x safety instructions. A3 2012 onwards. TT 2015 onwards. 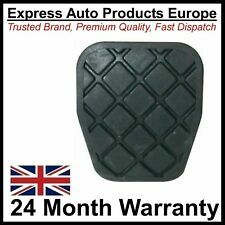 2006 AUDI A3 8P 3 DOOR 2.0 TDI BKD CLUTCH PEDAL 1K2721059BS. REGARDING PARTS. DEPENDING ON THE SIZE AND WEIGHT. PH16-PH26 / PH30-PH41 / PH49-PH50. IV1-IV40 / IV52-IV54 / IV63. I reserve the right to send the parts that are not always in the picture. Manufacture Part Number 8J1864777B4PK. Note a3 8p. Manufacture Part Number 8V1064205A. Note a3 8v only fits vehicles with automatic gearboxes! AUDI A3 (8P1) 1.2 TSI 04.10 - 08.12 77 105 1197 Hatchback. AUDI A3 (8P1) 1.6 05.03 - 08.12 75 102 1595 Hatchback. AUDI A3 (8P1) 1.8 TFSI 11.06 - 08.12 118 160 1798 Hatchback. AUDI A3 (8P1) 1.6 E-Power 01.11 - 08.12 75 102 1595 Hatchback. 2005 AUDI A3 1.9TDI 5-DOOR HATCHBACK. BRAKE PEDAL ONLY---AS PICTURED PART NUMBER:- 1K2721057AB SEE PICTURES. GENUINE PART. SCOTLAND, HIGHLANDS, NORTHERN IRELAND & ISLANDS ARE NOT MAINLAND UK. FOR SALE IS NEW GENUINE VW BEETLE BORA GOLF 98-10 AUDI A3 TT 97-06 CLUTCH PEDAL TO FIT - VW BORA (1999 - 2005). - VW BEETLE (1999 - 2010). - VW GOLF (1998 - 2006). - AUDI A3/S3 (1997 - 2003). - AUDI TT/TTS (1999 - 2006). Manufacture Part Number 8V1064200A. Note - AUDI A3 (2013 - 2016)- PART FITS ONLY MANUAL AND LEFT HAND DRIVE (LHD) MODELS. Genuine Accelerator Throttle Pedal. Audi A3 S3 8L (1999). LZ5K - Santorin Blue. 3 Door Hatchback. 6-Speed Manual. Engine Code. Donor Car: 2005 Audi A3 8P Sportback 1900cc. Generic Notes on this Part: Fits Right Hand Drive Vehicles Only. Colour code is E59 Light Platinum Grey and suits interior codes MD and MT. The New and Used Audi Parts Specialist for all Audi models worldwide. Audi A3 8L Grey Drivers Footrest. Donor Car: 1998 Audi A3 8L 1800cc. The New and Used Audi Parts Specialist for all Audi models worldwide. Audi Part Number: 8L2 864 777 A. It may fit others. THROTTLE PEDAL. Manufactured Year 2010. AJ Spares Ltd is a large independent Vehicle Dismantlers. Our Opening Hours are:-. are collection only due to their weight/size. where applicable, as detailed below. Matching the part numbers is the only way to avoid incompatibility. Engines: Only the Engine block itself is covered by the warranty, ancillaries are not tested however the engines are only removed from running cars. Useful Information NO EXCEPTION TO THIS RULE. Security Marks. All vehicles we dismantle go through full electronic diagnostics. However all marks considered bigger than normal wear will be listed. ENGINE: 2.0 TDI DIESEL CODE: BKD. MODEL: A3 8PA. MAKE: AUDI. BODY TYPE: 3 DOOR HATCHBACK. ASK BEFORE YOU BUY IF YOU ARE NOT SURE IT IS THE RIGHT ITEM. GOOD WORKING ORDER. BEST POSSIBLE. Clutch pedal. Part no. 1K2721059BF. Engine code: BKD. Audi A3 2.0 TDI 2004. In good condition. Genuine Audi part. Fits: 2004-2008 but removed from a 2004 model. We are a car dismantling facility based in West Wales, not far from the coastal town of New Quay. PART NUM BER - 1K2721503T. ACCELERATOR PEDAL. AUDI A3 S LINE 1.6 LITRE DIESEL 2011 MODEL. 5 DOOR HATCHBACK 5 SPEED MANUAL. P AINT CODE - GREY. REMOVED FROM AN AUDI A3 SLINE 2.0 TDI (2014). AUDI A3 S-LINE 8V. CLUTCH PEDAL. GOOD CONDITION & WORKING ORDER. Whenever possible, we provide the part number. If in doubt, ask. at their own expense. Note a3 8Ponly fits vehicles with manual gearbox! Type Pedals, Footrests & Plates. Audi A3 8P Brake Pedal. Donor Car: 2005 Audi A3 8P 1900cc. The New and Used Audi Parts Specialist for all Audi models worldwide. Audi Part Number: 1K2 721 057 S. It may fit others. PART NUM BER - 1K2721117G. AUDI A3 S LINE 1.6 LITRE DIESEL 2011 MODEL. BRAKE PEDAL. 5 DOOR HATCHBACK 5 SPEED MANUAL. P AINT CODE - GREY. Manufacture Part Number 8V1064200. Note audi a1 (2011-2017)audi a3/s3 (2013-2017)audi a3 cabriolet (2015-2017)audi tt/tts (2015-2017)only for lhd vehicles! Audi Audi A3 Cabriolet 8P 2008-2013. Audi Audi A3 Saloon/Sportback 8P 2009-2013. WE JUST DO NOT UNDERESTIMATE SCORE. 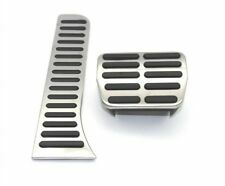 PEDAL KIT CONSISTING OF PLATFORM AND SPORTS PEDALS IN BRUSHED STAINLESS STEEL (AISI 316 L) HIGH GRIP NON-SLIP GRIP. 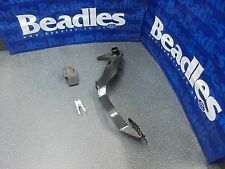 CAR PEDALS STAINLESS STEEL ( AISI 316L ) HIGH GRIP. 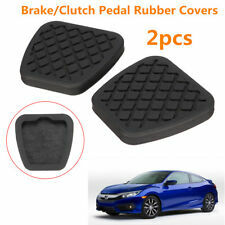 Pedal cap for accelerator - Pedal cap for brake pedal - Pedal cap for clutch pedal. Only suitable for vehicles with manual gearbox. Fitting note Installation cost: AUD (including GST). Audi A3 8p 03 - 08 Clutch Pedal Master Cylinder, bought for my car but never got the chance to fit before I changed cars. Ready to fit. Collection possible from the Wigan area. Any questions please don't hesitate to message me and I'll get back to you as soon as possible!! Accelerator throttle pedal. If the item is found to be tampered with in any way, the warranty will not be valid. Part Number : 1K2721057G. AUDI A3 8P 2.0 FSI PETROL. Donor Car: AUDI A3 8P 2.0 FSI. BRAKE PEDAL ASSEMBLY. From 2004 > 2008. confirm yourself that the item is what you require. for Scottish Highland, Northern Ireland. 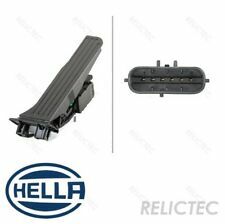 For Audi A3 8 p 2003-2012 Q3 2011-2016 TT 8J 2006-2014. -The pedals include brake, clutch and Accelerator for manual gearbox. MPN 6889284524754. -Sporty, luxurious and antiresbala. We try our best to make sure that you receive the item as you have expected it to be. In such a case. EVERY PART TAKEN OUT OF THE VEHICLE HAS BEEN TESTED. THIS PART IS GENUINE AND IN GOOD WORKING ORDER. AUDI A3 SALOON SPORT 8VS 1.4 TFSI 2013 - 2016. ITEM WAS FITTED TO A 2016 AUDI A3 8VS SALOON WITH A 1.4 PETROL ENGINE & 6 SPEED MANUAL GEARBOX. CHANNEL ISLANDS. ISLE OF MAN. 8.00am - 1.00pm, Sat. PART NUMBER : 8V0035874C.